Musing On Beauty: A bit of drama. What do you do when you're home on a long holiday week-end and it's pouring outside? 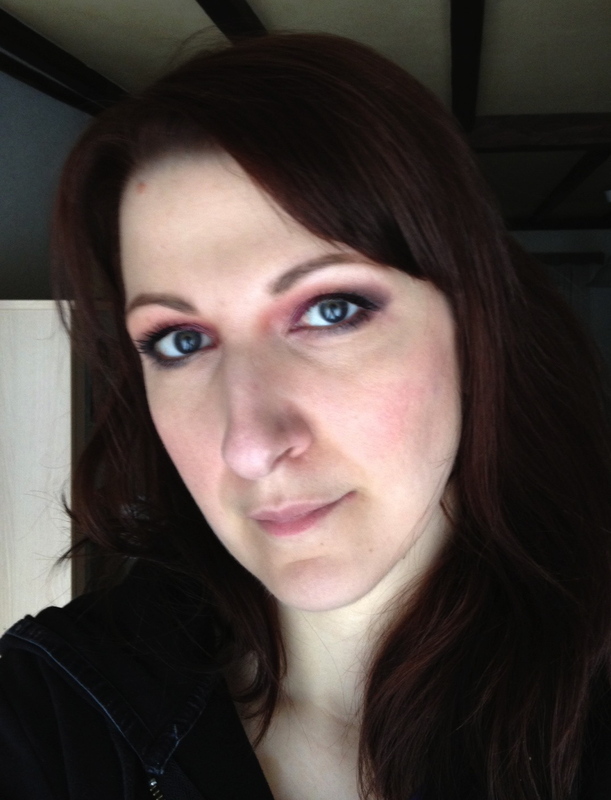 You play with makeup. 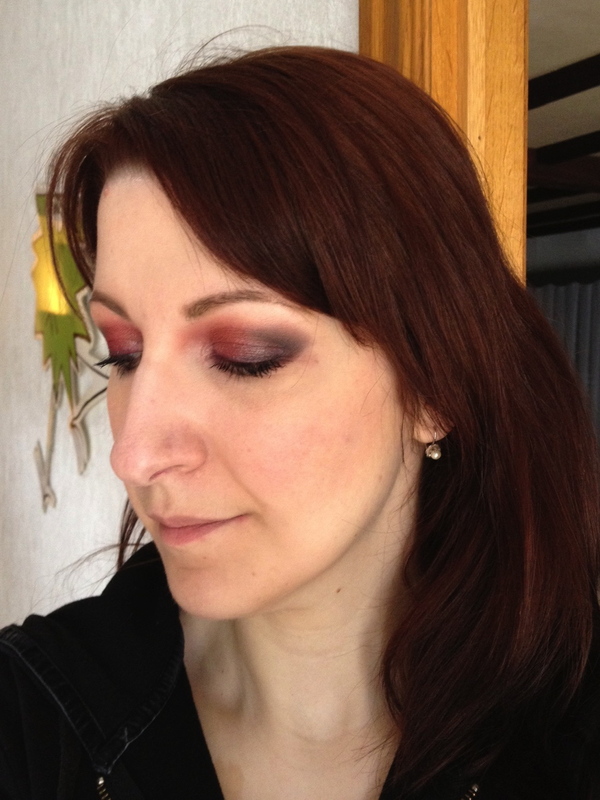 Illamasqua eyeshadows in Daemon (red, on the lid) Vulgar (orange, to blend out the edges) and Gimp (slate grey, outer V) and pigments in Fervent (on top of the red) and Furore (higlight). I wasn't too sure about what to put on the lips. If I had been going on a night out, I would probably have worn a red (Maneater?) but I decided to be daring and try a black. I added Illamasqua Intense Lipgloss in Revulse. I must say it was hard to make it opaque, I should have used a black pencil (Sophie) as a base. I'll admit I'm not too crazy about this lip but I adore the eye look! 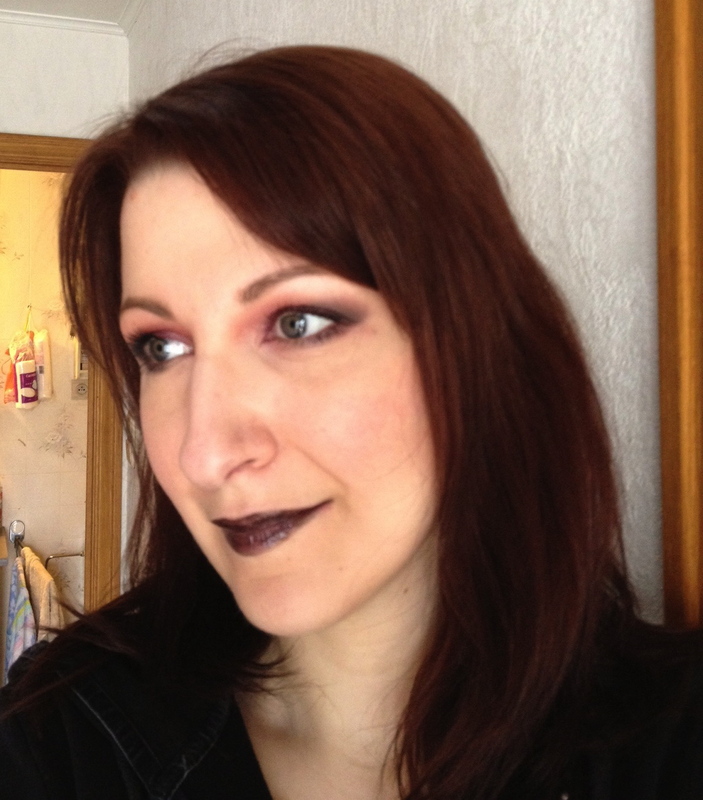 I will definitely be doing it again next time I have a night out, I think it suits me better than an all black smokey. And I didn't even need false lashes! What's the lastest über dramatic look you wore? I agree with everyone. 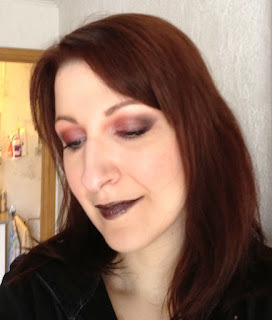 I adore the eye look but am not crazy about the black lip. I never would have thought that red would look so good on the eyes. I also can't think of anyone that a black lip would look good on in real life. I'm in agreement about the lip, but the eyes are so rad! Love those colors. Gorgeous look, I love the eyes!